Swan Lake Big Daddy Imperial Red Ale is an 8% imperial red ale winter seasonal from Hyouko Yashiki No Mori Brewery, also known as Swan Lake Beer, that is their contribution to the Masaji Beer Project. Unlike the rest of the range of the beers, it is a draft only release with no plans to release it in bottles. The reason behind this being a red ale is that Swan Lake thought that red best exemplifies Ooshita-san’s passion and love for craft beer. 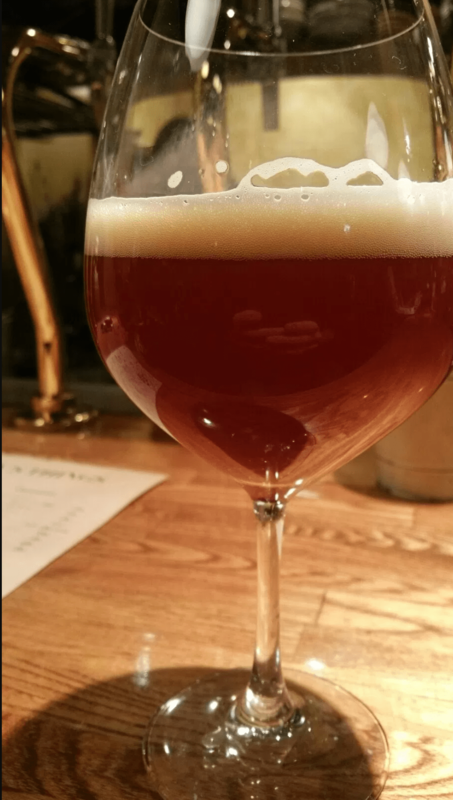 It was on the BeerTengoku Bonenkai session for 2015 (in Gold’n Bub) that I came across Swan Lake Big Daddy Imperial Red Ale. I had asked Swan Lake (@swanlakebrewer) on Twitter whether it was coming out in bottles but alas no. Another year, another no bottle event. When Joe showed me the beer list for 31st December, I whooshed to the bar with Joe in tow hoping to get some of this. When the pumps spluttered out a meagre amount of beer, I thought I had missed my chance, until the bar staff turned on the tap at the keg. Last night nerves and all. Finally! Swan Lake Big Daddy Imperial Red Ale poured out a deep amber red colour with a reddish-white head on top that lingered the whole time during drinking. It had a good balance in the smells with caramel from the malts and the hops producing a citrus with pine smell to it. The aromas never developed any further but that’s not a bad thing in this case. The caramel was more pronounced in the body and lasted right through into the aftertaste; however, for a double IPA, the hops in Swan Lake Big Daddy Imperial Red Ale were far less subdued and produced less bitterness than I initially expected. It ended up with the sweetness being the star of the show and the hops taking a distant second. Swan Lake Big Daddy Imperial Red Ale started off well and produced a good sweetness to it. However, if you’re looking for something hoppy then you will be disappointed.